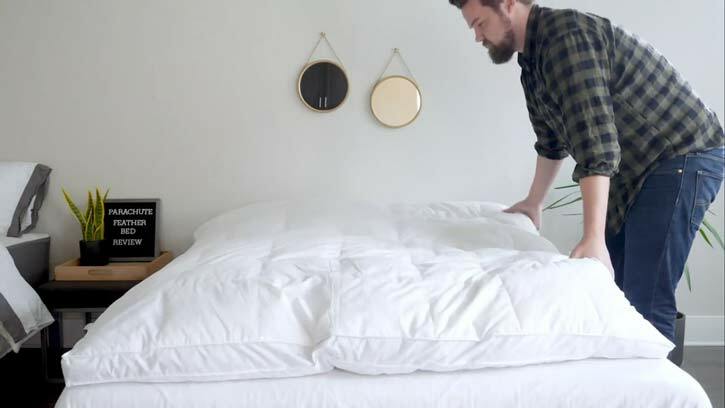 Parachute Down Feather Bed Review - A Fluffy Topper? 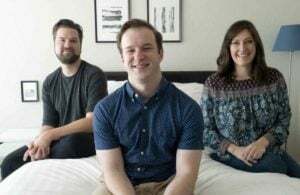 Home » Parachute Down Feather Bed Review – A Fluffy Topper? If you’re looking for a mattress topper, you have undoubtedly had to wade through many memory foam options. But what if you aren’t a fan of memory foam? What if you want something with a different feel, something more like a pillow-top? Those who want something fluffy may want to consider a feather bed. Out of the feather beds I’ve researched, the Parachute Down Feather Bed is one of the most popular. I have been a fan of Parachute’s other products, so I was very excited to try this feather bed out for myself. Is this the fluffy, cloud-like feel you’ve been looking for? Read on for my full review. The Parachute Down Feather Bed is a soft, fluffy mattress topper that could be a great match for hot sleepers. You’re a back sleeper. 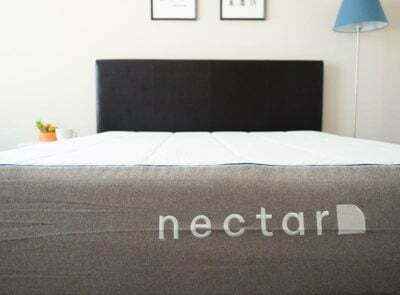 If you sleep primarily on your back, this feather bed could be a good choice for you. It wraps around you and conforms to the shape of your body somewhat. 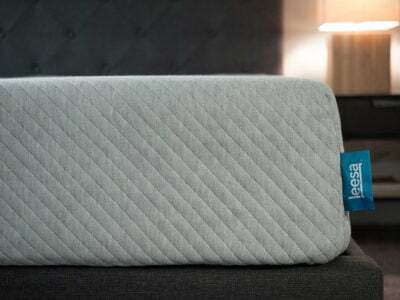 Back sleepers should feel nice while resting on this plush mattress topper. You’re a hot sleeper. One of the drawbacks of many mattress toppers is that they can add warmth to your mattress. This is especially true of memory foam mattress toppers. If you want a mattress topper that doesn’t make you sleep hotter, the Parachute should be a good option. It’s very breathable and shouldn’t trap too much heat. You want to add some fluffiness to your mattress. If you’re a fan of pillow-top mattresses, the Parachute could be right for you. It is very lofty and adds that pillow-top experience to the top of your mattress. It’s a great option for those who want a cloud-like feel. You struggle with allergies. While down is very lofty and soft, it can also trap allergens like dust mites and pollen. This could be an issue for people with allergies. 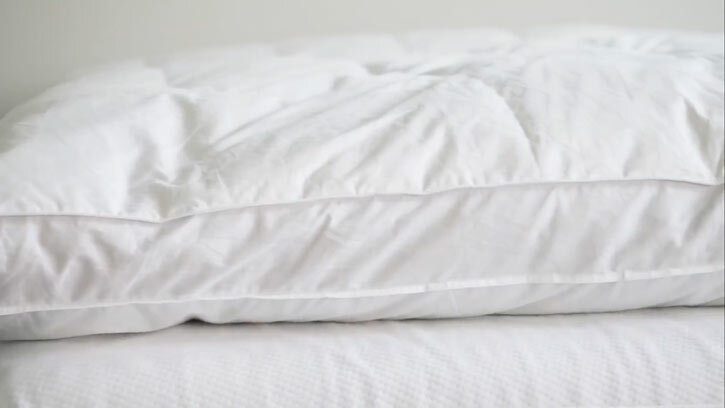 If you’re extremely allergic, you might want to consider a down alternative feather bed. You don’t like a pillow-top feel. If you don’t want a mattress topper with a fluffy feel, this is not the best pick for you. 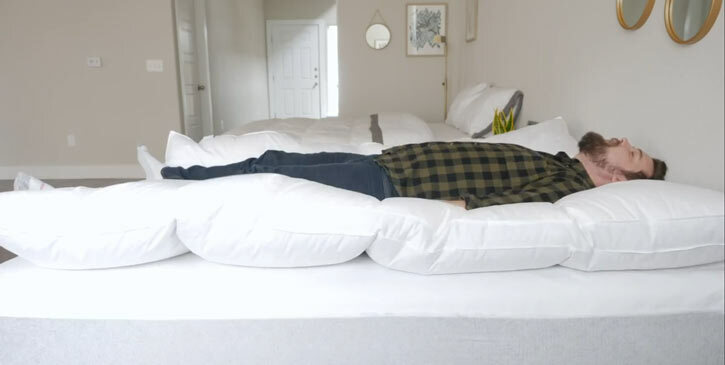 It’s very lofty and essentially gives your mattress a pillow-top. 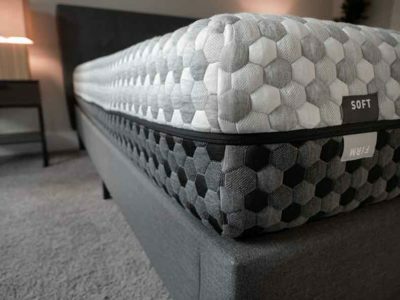 If you prefer to slowly sink into a mattress topper, take a look at something with memory foam. You want a topper that will add pressure relief to your mattress. The Parachute does add a bit of softness to the top of your mattress. However, it really doesn’t help the mattress relieve pressure much. If you are side a sleeper, the Parachute probably won’t reduce pressure on your shoulders and hips. You’re looking for a value mattress topper. While the Parachute is very comfortable and fluffy, it is not the most affordable mattress topper. Down is a pricier material, so if you want to save some money, a down alternative or memory foam option might be better for you. The shell of the Parachute is made of 100 percent cambric cotton. The topper features a sateen weave. This gives the mattress a soft, silky feel. The feather bed is 3″ tall. It features a baffle box construction. This creates a three-dimensional space where the down can fully expand. The Parachute also has two chambers. The top chamber contains European white down, and the bottom chamber contains down and feathers. The down has a fill power of 550. The down and feathers are Responsible Down Standard certified, meaning they are responsibly and ethically sourced. 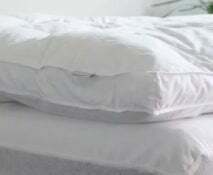 The down feather bed topper is OEKO-TEX® Standard 100 certified, meaning it is free of harmful chemicals. 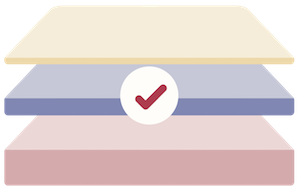 The Parachute is available in Full, Queen, King, and California King. The Parachute came packaged in a plastic carrying bag. After opening it up, the feather bed expanded quickly and was ready for immediate use. Unlike a memory foam mattress topper, the Parachute did not have a strong chemical smell and did not need time to fully expand. To test out its softness, I placed the Parachute on a firmer mattress. This mattress felt close to an 8/10 before I put the feather bed on top. After placing the topper, the mattress felt more like a 7.5/10. Overall, the feather bed did not make the mattress much softer. I will say that the softness of this feather bed topper will depend on your weight. I am a larger person and weigh 230 lb. While I press right through the Parachute, lighter people might not. Because of this, lighter-weight people could find that the feather bed feels softer. While lying on my back, I feel very nice. The feather bed surrounds me and takes the shape of my body. It doesn’t give me more lumbar support, but it is nice to be surrounded by the soft down. While side sleeping, the feather bed does not add much pressure relief. It makes the mattress just a bit softer, but it is not too noticeable. It doesn’t make side sleeping on the mattress worse, but it also doesn’t make it much better. Moving to my stomach, the Parachute is not the best fit for me. It is making the mattress a little softer and not as supportive. Again, it isn’t too noticeable, but I will say I felt somewhat smothered when I was stomach sleeping. While it doesn’t soften the mattress greatly, the Parachute does add a very different feel to the mattress. It gives it a very fluffy, pillow-top feel. If you like pillow-top mattresses, this could be a quick way to get that feel. 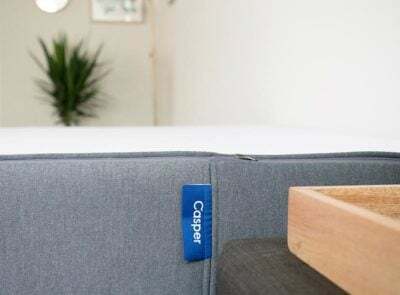 Sometimes mattress toppers can add some extra heat to your mattress. While the Parachute doesn’t necessarily cool down the mattress, it does not make me heat up too much more. The down and feathers allow for some good airflow so the Parachute doesn’t trap too much heat. In the end, the Parachute Down Feather Bed is probably a great option for hot sleepers and fans of pillow-top mattresses. 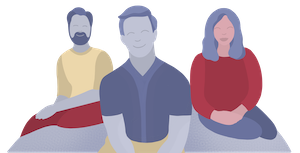 Those who want a memory foam feel or something to really soften their mattress might want to look elsewhere. The Parachute comes with a 3-year warranty.